BMW sent me a letter saying they were extending the warranty on the Footwell Module in my car, and that if I had repairs previously done on it, I may be eligible for reimbursement. I was like “dafuq is a footwell module?” but I did have the blower motor worked on and that’s in the footwell so maybe? For some reason I decided that the best course of action for this letter was that I needed to call BMW and ask them if the repairs I had done fell under the reimbursement. 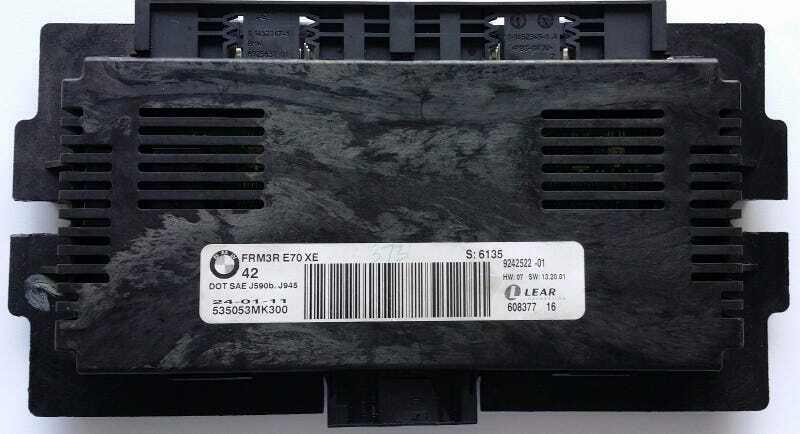 I waited a couple weeks until I finally got around to calling the specific BMW Reimbursement 1-844 number, and then when I did, the lady on the phone told me that she wasn’t sure if the work I had done fell under the reimbursement, but that “regulator for blower motor” doesn’t sound much like “footwell module,” so probably not. Oh and also she looked up the part number. But she still said maybe submit the reimbursement request online anyway, and a caseworker will review and get back to me in 4-6 weeks. The nice lady also said to make sure to provide proof of payment. Good thing she did because I had scanned the original invoice to my Google Drive car receipts folder, but not the actual credit card receipt. She said I could provide the charge showing on my credit card too, so I searched through my account and was able to find the charge. Once I did all that, I filled out the reimbursement form (which after you put in your VIN, gives you the form, which mentions proof of payment so I guess I would’ve eventually came up with the credit card transaction search idea) and uploaded both of my documents. Then I decided, hey maybe I should try to figure out what the hell a footwell module is. I went on RealOEM and tried to find it for my car, and it brought me to this section with a parts diagram. The pic up at the top of the post is the footwell module, which I found after some google image sOh, and about that blower motor regulator? Yeah, completely different parts diagram and section of the catalog. The footwell module (FRM) is an electrical nodal point in the footwell on the drivers side. The footwell module picks up the signals from the doors and controls the lighting. The footwell module also controls the adaptive headlights. The footwell module is also the interface to the dashboard. Thanks, handy dandy very first result on google! The other results told me that apparently there are widespread issues with the footwell module, including on Minis. So I guess this part is a piece of junk and will cause electrical problems, but they’re now covered for 10 years of 156k miles from vehicle in-service date. Yay! I have a feeling that BMW will not be sending me a check for $300.68 that I spent on my indy mechanic back in Wisconsin replacing the blower motor regulator, but hey at least I submitted the form and maybe they’ll say, “ah screw it this guy did the form let’s pay him.” Worth a shot?